I’ve been watching an HBO show that’s been on AMAZON PRIME. I view it on my TV set using my ROKU device. It’s called IN TREATMENT. In the moment of a recent episode, the shrink asked the young man, “What are you thinking?” The youth replied, “White noise”. I had to laugh at that one. The laughter of recognition I suppose. My own mind registered that. Not thinking anything really. Yet not being mindful either. I ‘m most aware of that white noise when the decision is made to write. Like now. It’s a rain filled, raw, cold day here in North Carolina. Write, I said. All levels of me self-agreed to write something. A blog. Here I am. What have I got? White noise just like the kid on the program. Lately, I’ve thought to try my hand at writing short little Japanese Mindfulness Poems called Haiku which are Japanese poem of seventeen syllables, in three lines of five, seven, and five, traditionally evoking images of the natural world. Cutting written language, relatable to anyone and maybe paradoxical in some way. Sounds easy. Not so much. You’d think the white noise would help but the instant that pressure is felt to come up with even one word, the mind is suddenly filled with nonsense and resistance. No no, not always, listen . . . I really like the idea of clipping out a moment that is a pure now moment – a reflection of whatever catches the attention of the psyche. The other day I sat down on the sidewalk in front of my apartment to experience a moment or two of sunshine. Looking down at the ground before me, there is one pear tree flower all by itself in the dirt–alone and separated from the tree and other flowers on the branch from which it blossomed. What struck me is that even though it was alone there, its center filaments seemed to still be reaching up toward the sun, the light. The translations from Japanese to English do not follow the 5, 7, 5 syllable rule. Anyway, none of those rhyme but they do describe the moment in time, a now. Seems a good use of spare time to use Haiku poem writing endeavors to help a person remain aware of their now, mindfulness. I guess you know what I mean, reader, right? The small flower all alone there just seemed to say to me, “Look, I know that I no longer am connected to the life force upon the earth that sustained me (the tree) and I’m aware that I will soon just become the earth itself, whithering away here. And I know my family of flowers on the branch above me–they are all looking down upon me aware of my fate, but I can still be nourished by the light, the sun. The filaments, the anther, the stamen of me are still reaching up to the light even in my death here and in my departure, the ground here before you where I lay is bringing you some joy and beauty before I disappear completely. ” Looking at the singular flower was my meditation. After writing those last words my head turned toward the window where I see the tree with all their beautiful white blossoms knowing that soon they will all fall upon the ground as the green leaves push them off their branches. They too will end up in the dirt and on the sidewalk. But they will return next spring to do it all again. There is no death, only transition into yet another phase. OH, DON’T GET ME WRONG; THERE ARE REAL ADVANTAGES AND I WANTED THE MRI PERFORMED. This post is about something personal–fair warning. But if you are sensitive to energy and to your own body, and if you need an MRI, maybe something here will be, in a small way, useful. I hadn’t really considered any side effects of an MRI. They are minimal in the grand scheme of things, I suppose; yet, consider the subject to be worthy of a write-up. So, here goes . . . It wasn’t until later in the day (yesterday) when alone that . . . well, that the “out of sorts” feeling was clear. It was evident that something was energetically wrong and of course, I knew why. The MRI naturally. It was subtle, but I am sensitive, a psychic. My own body’s natural electromagnetic field, especially in the area of my neck and brain (cervical scan) were rocked and rolled yesterday–and shook every which way but lose. Which is, apparently, the method behind the MRI madness in the first place… the body’s own magnetic energy field gets confused and sends out a signal of some-such that the MRI machine picks up the confused atoms as images. I think something close to that goes on anyway. The MRI machine is a large, cylindrical (tube-shaped) machine that creates a strong magnetic field around the patient. The magnetic field, along with radio waves, alters the hydrogen atoms’ natural alignment in the body. Pulses of radio waves sent from a scanner knock the nuclei in your atoms out of their normal position. As the nuclei realign back into proper position, the nuclei send out radio signals. These signals are received by a computer that analyzes and converts them into a two-dimensional (2D) image of the body structure or organ being examined. Yet, the residual feeling experienced as the day wore on was one that would be expected if someone had grabbed me by the shoulders and shook the heck outa’ me. I distracted myself with TV and then reading. I had some trouble pulling my energy together for any kind of quality meditation and felt too wiped out to do any yoga. I found myself snacking late into the night in a misguided way to restore order. That’s my old pattern! The first sign of a problem, find something to eat. Fell right into that one. This morning I still feel somewhat shaken–similar to the feeling of when first set free from the MRI coffin-like machine. Oh, was I glad to be let out of there! Alright. Facts. My body has been bending, lifting, turning and twisting for 70 years now. Nothing lasts forever. Impermanence: a fact of life. Degeneration of the cervical spine can cause radiating pain, numbness, weakness in shoulders, arm, and hand –my symptoms exactly. Nothing lasts forever, especially the human body. Decades of bending, lifting, turning, and twisting can really take their toll on your neck and in my case cause radiating numbness in shoulders, arm and hand… mostly at night when sleeping, go figure. How about the MRI’s benefits? Well, I got to see the photo images which were given to me on a CD before leaving the hospital outpatient facility. Uploaded it to my computer to view when I got home and with my minimally medically trained eyes, do see some degeneration of the vertebrae and some disc herniating toward the spinal cord. Yet, just what the radiologist will make of the images and what the recommendation, if any, will be handed out, is unclear to me still at this time. My general intuitive impression is not much can be done and maybe a cervical pillow and new mattress could help too as the symptoms show up when sleeping. Nighttime numbness (and a bit of pain) increases just as the upper body strength training that I’ve been doing increases the strength in the shoulders and arms. It’s a rock and hard place kind of scenario. All in all, feeling shook up for a little while (this too shall pass) is probably a small price to pay in order to know a few things about my body. Speaking of shook up, what brought this all to a head (pun intended) was a recent freakish wind event that caused an object to hit me on the side of the head. Resulting vertigo (another blast from the past so-to-speak) which could have come from an inner ear issue. Or from something in the neck which is what I hope the MRI will clarify. Oh, what a tangled web! My greatest celebratory moments today will be knowing that I can swallow as much as desired. THAT was difficult to NOT DO except between each of the long scans of the MRI. Really? Yeah, the guy said, don’t breathe too deeply. Okay, got that, no problem. Then said, don’t swallow until you hear the MRI banging stop. Huh? Crazy! I did my best. No more MRI magnet banging issues and go ahead… swallow anytime and all you want, Joy! Those last words… my happy thoughts for today. PS — My habit is to write things out of my system. Blogs are so useful for that purpose. This post has been therapy in that way. I also wrote it for others who may feel a bit weird after an MRI to know they’re not alone. I did have those side effects from my MRI and if I did, others who are tuned into their body and vibes, in general, are likely to as well. The Goddess Pallas? Where is she in your birth chart? Where is she transiting currently for you? I’ve written about CERES and one post about the group of Pallas/Athena, Juno, and Vesta. Now that I’ve taken a deeper look at CERES in a singular post, the goal is to do the same with Pallas and then Juno as well, as time permits anyway. Disclaimer: Probably, it should be mentioned that I suffered a significant blow to my head in a freak event involving wind. And while it may be wishful thinking that I’m no worse for the wear, this post writing is being used as a distraction from a headache. Bottom line: I hope this will make sense to the reader, despite some type of concussion being part of it all. Now. That said. One thing here is that Pallas rules Aquarius—or so the greater astrological minds tell us. My own natal Pallas is located in the sign Aquarius— making my Pallas, that particular part of my psyche, strong for that reason. She is known to be the protectress and thus the glyph is shaped like a spear. She is said to represent the polarities of courage and its opposite, fear. In addition to ruling Aquarius (air), she rules Leo (fire)—so she brings together creativity (Leo/fire) and mental qualities (Libra and Aquarius/Air). She is thought to be the Goddess of Wisdom and Justice in addition to the previously mentioned Protectress. Rounding out the generalities about Pallas, she is often pictured with an owl and spear as well as shield. The myth involving Jupiter is that she was born from his head which infuses her with the male/warrior vibe along with the wisdom that she is known for. Our style of perception and intelligence level can be described in our horoscope by the state of Pallas in our chart; well, at least so sayeth the elder astrological soothsayers. Inspired vision, intuition, curiosity, genius and exceptional perception and the capacities for same are also to be determined by the state of one’s Pallas in their chart. Challenges to perception can be determined by so-called stressful aspects to Pallas. Yet, visualization ability and the capacity to perceive in wholes (seeing whole patterns) and to coordinate informational systems is indicated by aspects to Pallas. Here comes a personal piece: My Jupiter (4th house in Scorpio) is square to my Pallas which brings in the right brain/intuition qualities of Jupiter with Pallas and that is what (I believe) helps me in my study of astrology and with my intuitive ability. Correlating and blending many bits of information to determine the larger picture is especially helpful in seeing the patterns in an astrological chart and in any psychic work. Pallas/Jupiter aspects are known for blending and correlating information. Therefore, I appreciate my Pallas/Jupiter square especially because of that and also that aspect and the energy in our psyche known as Pallas is understood to govern healing techniques (including self-healing), visualization, meditation, mind control, hypnosis and the like. Personally, again, my 7th House Pallas is trine Venus (in Libra/3rd) and Pallas is trine Uranus (Retro in Gemini/11th). Also, Pallas is opposing Saturn (in Leo) in my natal chart. 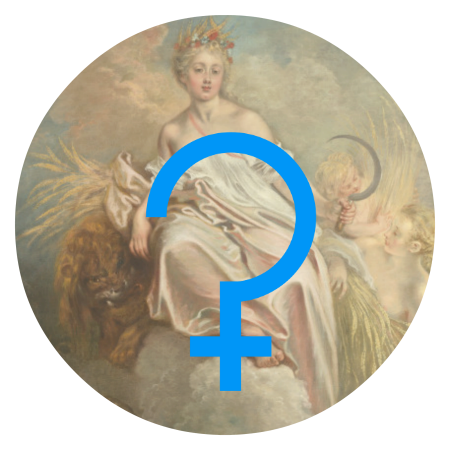 The elder astrologers tell us that in the mythology of Pallas, she operated as a “woman in a man’s word”, being accepted as a colleague or equal in the world of men. My own natal Pallas Saturn opposition, I believe, touches on that theme based on my life experiences. Pallas in Aquarius (such as mine) represents futuristic perceptions and also carries an indication of the revolutionary quality to the psyche. In this 7th house of (the other/s), it indicates that the soul/psyche of the individual (myself in this example) possesses strong meditating and counseling abilities – or so it says in the books that astrologers have written about Pallas. This fits, of course, with me in that this is the work that I do and meditation is a strong focus in my life. I could add that the Saturn opposition to Pallas from the 12th house brings the spiritual (12th house ruled by Neptune) quality into the work that I do—Saturn rules work/career/cosmic job in one’s birth chart. Again, I think of the aspect of opposition as a blending energy rather than the more negative qualities associated with that aspect. My own Pallas trine Venus aspect seems an important one as Venus is culminating at the 29° degree of Libra in my natal chart, signaling the culmination of that Venus energy in some way. The Energy is fully developed in other words—or so the wiser astrologers tell us anyway. Venus here is in the 3rd house so here we would have to include the 3rd house communication piece in the interpretation. And as Venus easily works with (trine) Pallas, here we have again harmonious (Venus) communication of a counseling (7th house) nature. It all fits with the work that I do and I am finding this exploration very validating of my life. I mentioned earlier about Pallas square Jupiter in my chart. Jupiter symbolizes the search for truth and meaning. The square here brings up in my own life the red flag of being ethical and remaining in integrity (truthful) with my work. I am highly aware that it is, in some cases, too easy to take advantage of people when doing readings and my inner Pallas/Jupiter energy signals me very strongly to remain ethical in my work. Pallas is trine to Uranus in my chart, which was also mentioned earlier—another harmonious aspect (trine). So here we are talking about levels of mind when we talk about Uranus. My Uranus is especially strong as it is located in my 11th house—the house that it rules, making it significant there. Uranus is retrograde which makes this part of my psyche finely tuned inwardly. Telepathic and intuitive abilities are a significant part of this Pallas-Uranus aspect. As a Uranus trine Pallas aspect with the understanding that Uranus has a strong connection with astrology (per the teachers of the subject), my ability to counsel (7th house Pallas) others and befriend all types of people, creatively assist others using higher channels of intuition as well as astrological counseling . . . well, this aspect is another that seems to be right on and fit my life experiences perfectly. 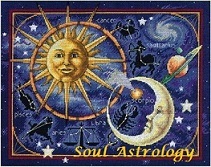 I really love astrology for its ability to validate not only my life but the life of my clients. It’s true that some of the aspects can play out in various ways but when doing astrology, one must always anchor into the natal north and south nodes and their aspects while doing an interpretation. In my natal chart, Pallas squares the natal nodes at a 4° orb, indicating that this energy has played out in my past lifetimes (South Node) or at least has been pre-wired in my psyche and is meant to be playing out in this current lifetime (North Node). These nodes are in my 4th (SN) and 10th (NN) houses, indicating that Pallas is destined to play a role in my cosmic job or career or at the very least in the public eye in some way as the NN / 10th house in Taurus indicates. Currently, at the time of this writing February 4, 2016, Pallas is transiting my 9th house with Pallas in Taurus (interestingly enough Pallas conjuncts my natal Goddess Ceres). My own take on that combination as far as interp or meaning is as follows: teaching (9th house archetype) about Pallas and the other asteroid goddesses is indicated. This transit is a pretty clear indication that Pallas wants me to learn and teach about her as part of my North Node Taurus evolutionary goal for this time period (while Pallas is transiting my 9th house merging with her Goddess sister, Ceres who is/was there at that degree at the time of birth). The Asteroid Goddesses seem very alive in my soul/psyche at this time in my life. I hope the reader will not find this post off-setting or confusing to read as, again, it was written on a physically challenging day following a head concussion. It is my wish that the reader will find something validating and useful here. In adddition, here is that recently written post about Ceres that I mentioned at the start of this blog: CLICK HERE .